Mold infestations are one of the most common problems a homeowner can face. Whenever excess moisture infiltrates your home, in a damp basement or attic for example, it can cause mold growth leading to musty odors and serious damage. Plus, mold can be harmful to the health of the home’s occupants. If you’re curious how to avoid this, here are the best ways to remove mold from your home. First, try to get rid of any excess moisture in your home. The initial step in removing it is to keep places in a home where it’s most likely to show up, and keep them dry. Mold growth is especially prone in warm, humid areas. For example, bathrooms, basements and attics have high potential for mold growth. Installing an air conditioner is a good idea, since it takes in warm air, which holds more moisture, and circulates it out into the home as cool, dry air. Using a dehumidifier is another useful way to reduce humidity. At times when the air outside is dry, open your windows and use fans to circulate new air into your home and carry the old air out. Beyond damp bathrooms, basements and attics, mold can grow in unseen places, like behind drywall, leaving you with a problem that you may not be aware of. If you notice a musty smell or stains on the walls, floors or ceilings, it will need to be cut out, removed and replaced. First, put on some old clothing that you can throw away once you’re done, and the appropriate safety equipment, including gloves, goggles and a respirator. Turn off power to the room, including your HVAC system, and seal off the room with plastic sheeting and duct tape. Probe stained or soft spots with a screwdriver to pinpoint mold. Use a drywall saw or utility knife to cut out the infested area. Mist with the pump sprayer to control spores, then double-bag the material in heavy plastic bags and tie the bags off. Put in new insulation and drywall, replace the trim, and repaint using paint that contains mildewcide. Sometimes, using simple cleaning solutions on mold will help remove the problem from your home. Many are inexpensive and can be found at your local grocery or hardware store. Try one of the following cleaning solutions to remove harmful mold growth. Ammonia – cannot be used on porous surfaces like wood and drywall and also contains harmful fumes. Bleach – very effective when used on moldy surfaces. Similar to ammonia, bleach is ineffective on porous materials. Baking soda – both mild and safe while also acting as a deodorizer. Unlike the other solutions mentioned here, baking soda can be used on porous surfaces. Borax – unless swallowed, borax is safe and doesn’t give off dangerous fumes. Use it on nonporous surfaces. To prevent future growth, do not wipe it off when finished cleaning. Vinegar – while not quite as effective as bleach or ammonia, vinegar safe and doesn’t give off harmful fumes. Use vinegar only on nonporous surfaces. If you’re experiencing mold growth in your home, it may be time to contact a mold remediation professional. With their high-tech, specialized equipment, extensive experience and unique skills, these professionals can identify and take care of the problem quickly and effectively. Of course, you can always hire a specialist to conduct an inspection of your home, having them provide you with the right recommendations so you can take care of the problem yourself. However, sometimes it’s easier, faster and safer to have a professional tackle the mold issues facing your home. 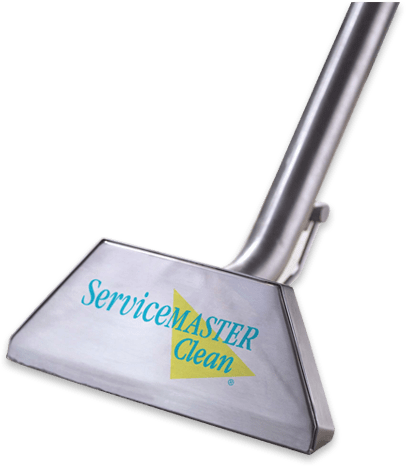 For the best mold remediation services in the Twin Cities, get in touch with ServiceMaster today. We use our expertise and experience to help you get your home back to normal as quickly as possible. With our commitment to exceeding client expectations, we’re prepared to fulfill your unique water damage restoration needs. From mold remediation, removal and prevention, our team will provide you with an affordable solution. No matter what type of damage your home is facing, the home restoration technicians at ServiceMaster will help get your property back to its normal form and your life back on track. Get in Touch! Contact ServiceMaster today by calling (612) 354-5466 or filling out a form on our contact page. We’re here whenever disaster strikes – get in touch now!